Outlines of the Books of the Bible is a complete outline of all of Scripture, from Genesis 1:1 to Revelation 22:21. Each book of the Bible is laid out in a convenient format covering each chapter and logical grouping of verses, with a very short summary or section title. 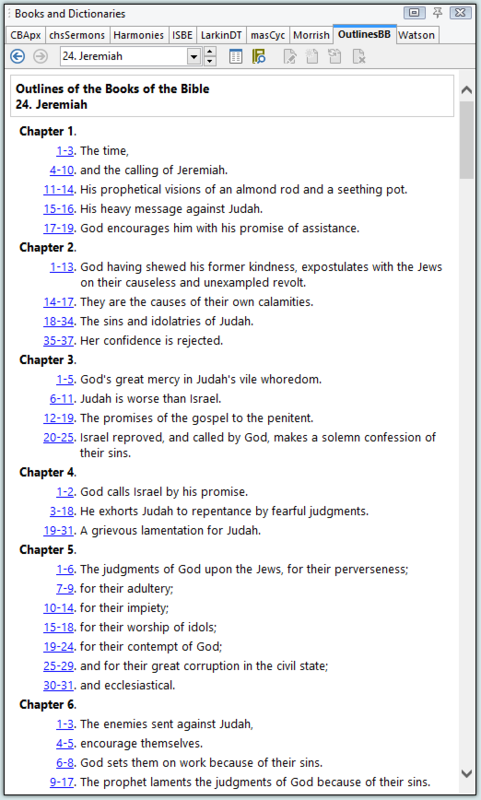 Verses can be clicked to open the passage in the Bible panel. With the handy Bible margin links, you can instantly go to the appropriate location in Outlines from any verse in the Bible with a single click, giving you a quick overview of the verse's place in all of Scripture. 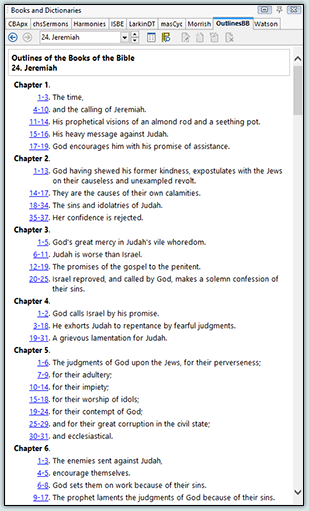 These outlines are short and minimal, usually focusing on the structure of the Bible rather than specific doctrine. 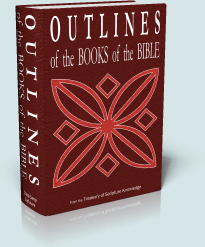 They are taken from the Treasury of Scripture Knowledge chapter headings and summaries, grouped and combined to form the most convenient outline available. 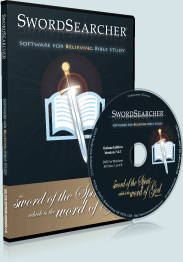 Additionally, as with any book in SwordSearcher, the outlines can be searched by words, phrase, or verse reference.